And she does look rather determined to steal them. 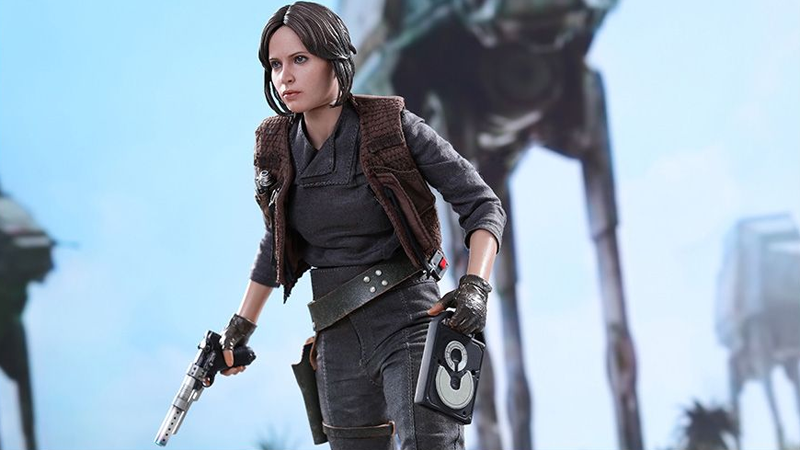 Hot Toys has released a new gallery of images of its upcoming Jyn Erso figure, just in time for Rogue One’s release next week. As ever with Hot Toys, it’s got a quite remarkable face sculpt of Felicity Jones’ likeness, and more accessories than you can shake a baton at. Which is lucky, because she has a little baton—which can be folded up to hang on her belt—you could ostensibly shake at all the other accessories Jyn has. There’s the usual bevy of different hands for holding things, Jyn’s trusty blaster pistol, a Stormtrooper blaster, little canisters to slot into her jacket, and the aforementioned Death Star plans. She even has an extra coat and scarf on top of her default clothes, so you can recreate her looks from either Jedha or the assault on the Imperial facility on Scarif. Unfortunately, it’ll be a while before Jyn hits shelves—she’s not due for release until later next year. She’ll set you back $220 if you want to preorder one though. Check out more pictures of the figure at the link below.